The Mummy King is up to no good, AND he has The Controller! 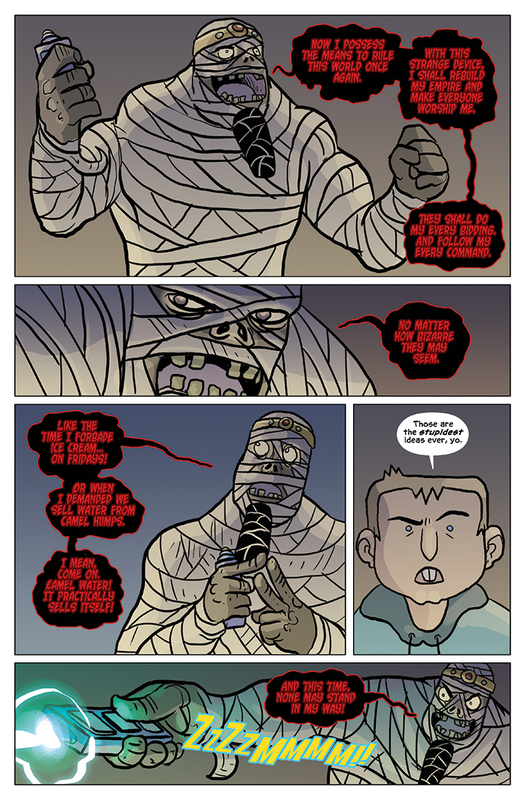 Wally and seriously made an error this time, bringing an evil Mummy ruler back from the grave AND giving him the means to bring others back to life as well! We’re about to get an introduction to his generals – and our Kickstarter appearance reward backers! Come back on Friday to see the next thrilling installment of Albert the Alien!